The year ended with Exile’s ‘Kiss You All Over’ at number 1 and enjoying its 6th week there. Things did not look good for it to manage a 7th week as the new number 2 was Boney M’s ‘Mary’s Boy Child/Oh My Lord’ which jumped a massive 13 places from 15 to 2 to be the climber of the week. This was the 8th time a song had climbed 13 or more in a week with 2 others managing 13, 2 managing 14, 2 managing 16 and The Sweet’s ‘Co-Co’ holding the record to date with a 17 place climb. Boney M were now the 6th act to have seen at least 2 songs make a climb of 10 or more places in a week. They had previously seen ‘Rivers Of Babylon’ climb 11 in a week. There were no other star raters this week. John Ireland’s ‘You’re Living Inside My Head’ was the faller of the week for a second week running. It dropped a further 7 from 13 to 20. Marshall Hain’s ‘Dancing In The City’ ticked over to 21 weeks in the chart and it was enjoying its 3rd week as the oldest. There was only 1 song leaving the top 20 this week and that was Andy Gibb’s ‘Shadow Dancing’ which had seen a run of 17 weeks in the charts and peaked at 4. This would be his only SA chart hit. Sadly he would pass away on 10 March 1988, just over 9 years after leaving our charts. The new entry was a solo effort by Kiss’ lead guitarist, Ace Frehley. ‘New York Groove’ was written by Russ Ballard (who was a member of the band Argent) and was originally recorded by a band called Hello. That version went to number 9 in the UK and 7 in Germany and 10 in Austria. Ace Frehley’s version would go to 13 in the US and 16 in what was then Rhodesia. There was a South African connection with the song as the drummer on the track was a guy called Anton Fig who hailed from Cape Town. The Swiss made 17th place on the list of weeks in the charts by acts from a nation their own as they moved on to 16 weeks, putting them 1 ahead of the Romanians who dropped to 18. Linda Ronstadt saw her weeks count reach 20 and she was the 37th female artist to reach this total. 1978 became the 3rd year where we saw none of the acts who featured on the first top 20 of the year appear on the last top 20. 1971 and 1972 were the 2 other years where this had happened. In case you’re wondering who was on the charts in the first week of 1978 here’s a reminder: Abba, Baccara, Brotherhood Of Man, Clive Risko, Clout, Donna Summer, Fleetwood Mac, Heart, Joe Dolan, Kelly Marie, Leo Sayer, Margaret Singana, McCully Workshop, Meco, Patsy Gallant, Rabbitt, Rod Stewart, Thelma Houston, Trevor Rabin and Wings. What we did see on this last week of the year was the second time we had seen a run of 100 weeks with at least 1 hit by a solo female artist in the charts. The previous 100 had come up in 19 April 1974 and went on to be a run of 144 weeks. There had been 2 runs inbetween that one and the current one and those 2 were 42 and 46 weeks respectively. Well, that ends the charts for 1978. Next time we will round up what happened in the year before heading into 1979. 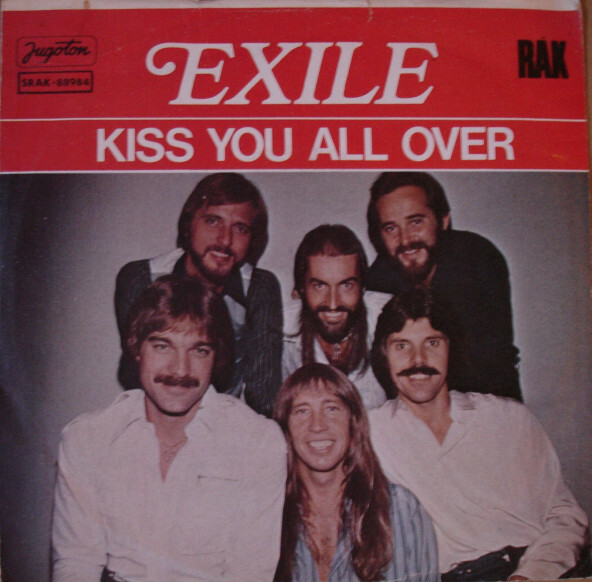 This entry was posted in 1978 and tagged Exile, Kiss You All Over, SA Top 20, South Africa, Springbok Radio. Bookmark the permalink.